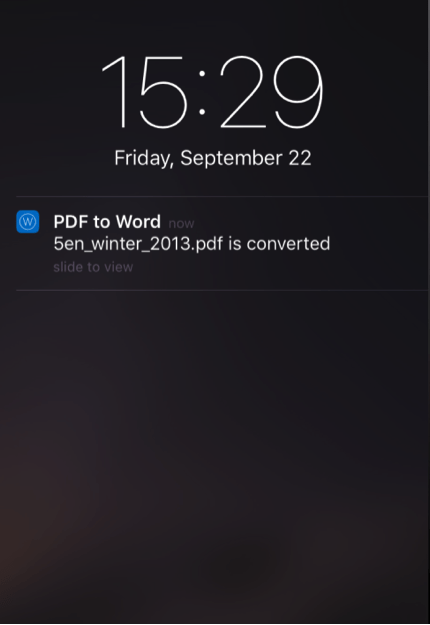 Would you like to learn how to convert PDF to Word on your smartphone for free? If you would, then you came to the right place. For many years, people have struggled with copying, editing and removing data from PDF files. What good is a file that you can only read, without using data that is stored in it? Imagine you have a perfectly good report, with tables, images, and data, and the only thing you need to change is the date! It wouldn’t be possible, well not without any third-party tool at least. That is why we decided to show you a useful trick you can use to convert a PDF file into an editable Word document with no manual retyping needed. You can do this on your smartphone if you have PDF to Word Converter with OCR app installed. 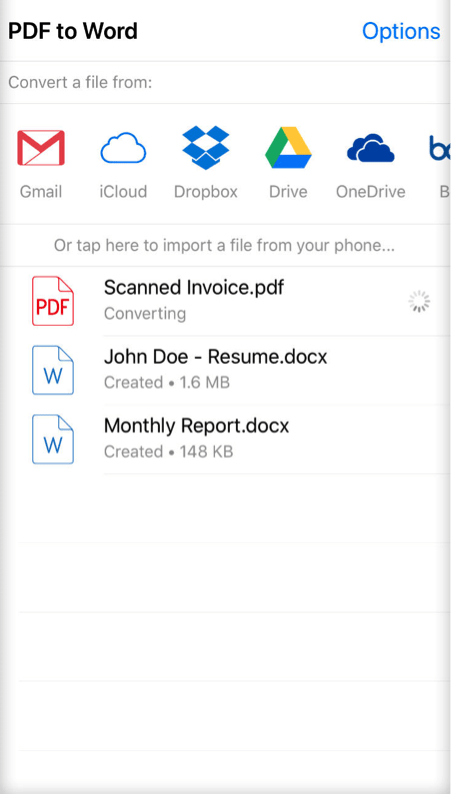 PDF to Word Converter with OCR app is available for both Android and iOS. The app is free to download and use. 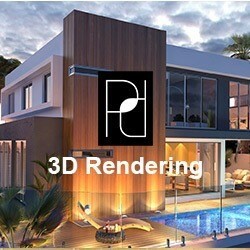 There are no limits on the number of conversions or the type of PDF files. It can convert both scanned and regular PDF files nonetheless. There is just a minor nuisance – you will have to wait a while for each conversion. Mind you that conversion quality you get in the end is worth waiting. If you are in a hurry, you can always upgrade to fast conversions and have that convenient option for a lifetime. With PDF to Word Converter, you can seamlessly connect with the most popular cloud storage services like Google Drive, Dropbox, OneDrive, iCloud and Box. It allows you to import files for conversion, directly from these cloud apps and without having files on your device. What this app makes unique is its ability to convert photos or scanned PDFs thanks to its market-leading OCR technology. Not only can you salvage text from images, but you can also use the app to scan real paper documents, which means that you won’t need a separate scanner app anymore. This feature adds scanning ability as well as various filter options. The app can help you turn your paper documents directly into Word so you can further edit them. It can be a big time-saver when you are out of the office. Another notable feature is its simplicity and clean design. First-time users shouldn’t have any problems with using the app. – Download your file and edit it in a text editor app (Once the conversion is finished you can open the converted file in a corresponding text editing app like MS Word). 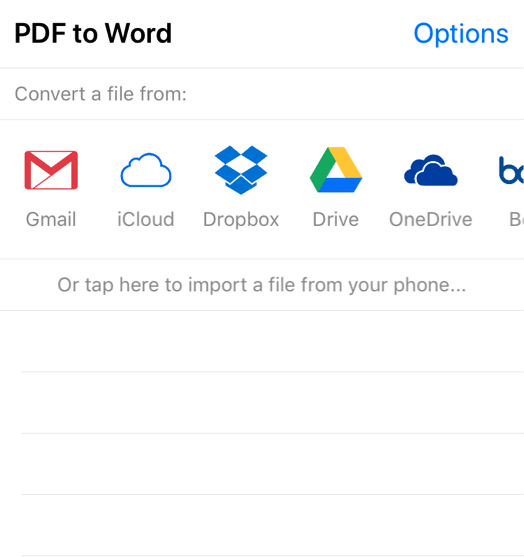 With this, we conclude our process of converting PDF to Word on any smartphone. 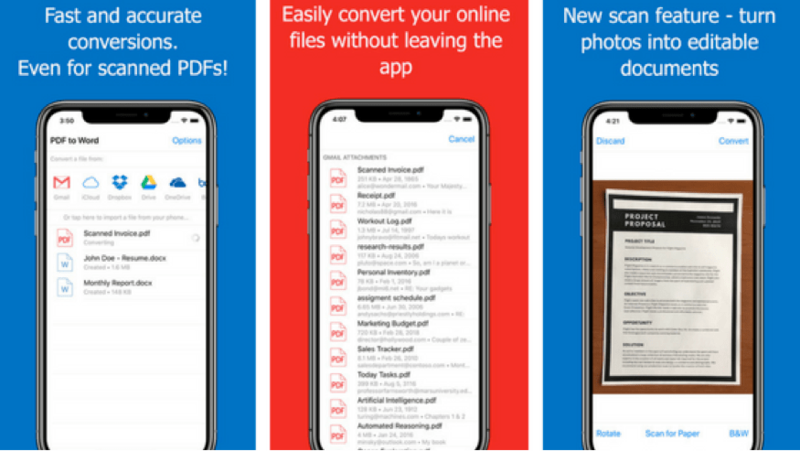 The app will enable you to reuse and edit existing PDF documents, make changes on the go, make quick fixes before the meeting and other important occasions. Just remember to turn those Word files into PDFs once you’re done.